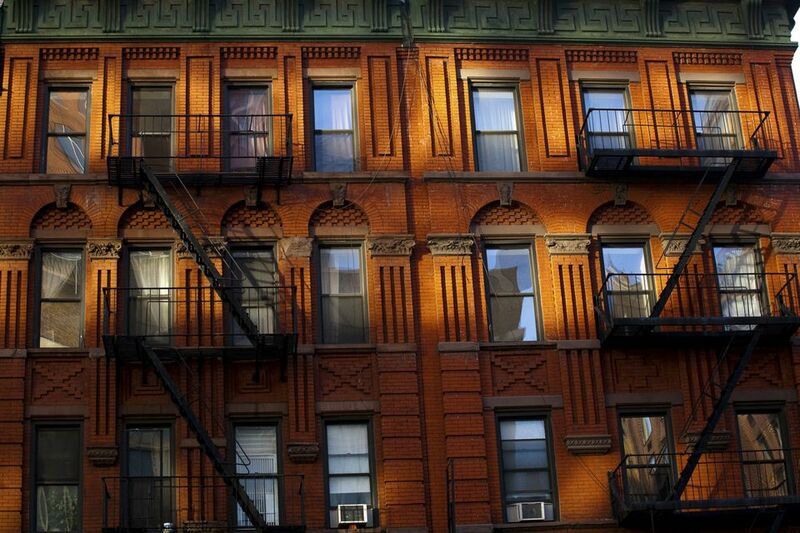 The concept of "affordable housing" in NYC can seem almost like an oxymoron. But, if you know just where to look, there are indeed ongoing opportunities for some very lucky low- to middle-income applicants to both rent and to buy in the city. With a lottery system, demand far exceeding supply, and strict criteria in place across the board, applying can be a lengthy, frustrating process with absolutely no guarantees. But for those lucky few that get through, getting approved for and moving into an affordable housing unit can be the ultimate New York City dream fulfilled. NYC Housing Connect, a service provided by the Department of Housing Preservation and Development (HPD) and the Housing Development Corporation (HDC), lists a database of affordable housing rental opportunities across NYC. Through their website, you can search through listings for current and upcoming housing opportunities for rentals in brand-new, city-financed buildings in Manhattan and the other NYC boroughs. You can also create a free account there, which allows you to set up an application for your household and to apply for the affordable housing possibilities that best suit you. Keep in mind that in order to be selected, you'll need to not only qualify for the property (eligibility requirements vary by property), but you'll also need to be selected at random in that property's own lottery. Happily, you'll be able to track your application history on the NYC Housing Connect website, too, though note that it typically takes two to 10 months to hear back on pending applications (and those that aren't selected as lottery winners simply may not hear back at all). Also keep in mind that you should try to apply to properties that are close to your current place of residence, since preference is typically given to residents currently living within the same community as the property in question. For more information, visit a806-housingconnect.nyc.gov/nyclottery/lottery.html. The Mitchell-Lama Housing program (backed by the Department of Housing Preservation and Development, or HPD) was put into place back in the 1950s to provide rental and cooperative housing opportunities to moderate- and middle-income applicants in NYC. Applicants can find Mitchell-Lama apartments that are rented or sold (in co-ops) through waiting lists that are maintained by each development, which applicants can attempt to get on by entering a lottery. By visiting the Mitchell-Lama Connect site, applicants can view available properties, create an account, enter the waiting list lotteries, and track entry status Note that while the income requirements are similar for both rentals and purchased units, more equity is required of applicants for eligibility to purchase one of the cooperative units. Apt from income, eligibility requirements are related to family size and apartment size, with each development designating its own eligibility parameters. Note that many of the Mitchell-Lama have such lengthy waiting lists, they have closed them out for the foreseeable future. However, there are some Mitchell-Lama developments with open waiting lists (that do not require a lottery), and other Mitchell-Lama Developments with short waiting lists. For more information, visit a806-housingconnect.nyc.gov/nyclottery/lottery.html. Founded in 1971, New York City Housing Development Corporation, or HDC, is the entity behind programs like NYC Housing Connect and the Mitchell-Lama Housing program, and also helps to provide financing for low and moderate income housing. A public benefit corporation, the HDC's stated mission is to "increase the supply of multi-family housing, stimulate economic growth, and revitalize neighborhoods by financing the creation and preservation of affordable housing for low-, moderate-, and middle-income New Yorkers." Beyond the NYC Housing Connect and Mitchell-Lama Housing programs, the agency works with other organizations to promote affordable housing throughout NYC. You can search their listings and apply online for the lotteries related to the currently available rentals, with opportunities for both low-income and middle-income applicants (you can verify current income requirements here). There are also a limited amount of co-ops for sale; check current listings here. For more information, visit nychdc.com. The New York City Department of Housing Preservation and Development (HPD) puts forth a mission to "promote the construction and preservation of affordable, high quality housing for low- and moderate-income families in thriving and diverse neighborhoods in every borough by enforcing housing quality standards, financing affordable housing development and preservation, and ensuring sound management of the city's affordable housing stock." It’s the agency responsible for carrying out Mayor Bill de Blasio's initiative, Housing New York: A Five-Borough Ten-Year Plan, which is worth taking a look through – it aims to finance the construction and preservation of some 200,000 affordable housing units in NYC by 2024. Visitors to the HPD site can browse for HPD-sponsored low- and moderate-income Lottery-driven rental opportunities, which include NYC Housing Connect and Mitchell-Lama properties, as well as a selection of city-subsidized rental opportunities. They also maintain a list of city-sponsored home ownership opportunities, likewise available to eligible applicants through a lottery system. Other helpful services include HPD's online course for First-time Property Buyers, and their HomeFirst Down Payment Assistance Program for first-time home-buyers. For more information, visit nyc.gov/site/hpd/index.page. Get Behind the Doors of 300 NYC Sites via Open House New York in Oct.